Back in the days of neon decadence, big hair, and America’s obsession with indoor shopping malls nothing was enjoyable than a trip to the arcade. These glorious bastions of bloops and bleeps kept me entertained for hours. I used to dream about owning an arcade of my own. Fast forward to the future where technology has advanced to such a point that we can fit not just one, but several video games that used to be in those giant, heavy, behemoths of an arcade cabinet into one tiny, portable disc. And Capcom has done just that with their latest collection of titles, The Capcom Beat’em Up Bundle. Much like their Street Fighter and Mega Man counterparts, The Capcom Beat’em Up Bundle collects seven of the companies most popular brawlers from the arcade heydays into one great collection. 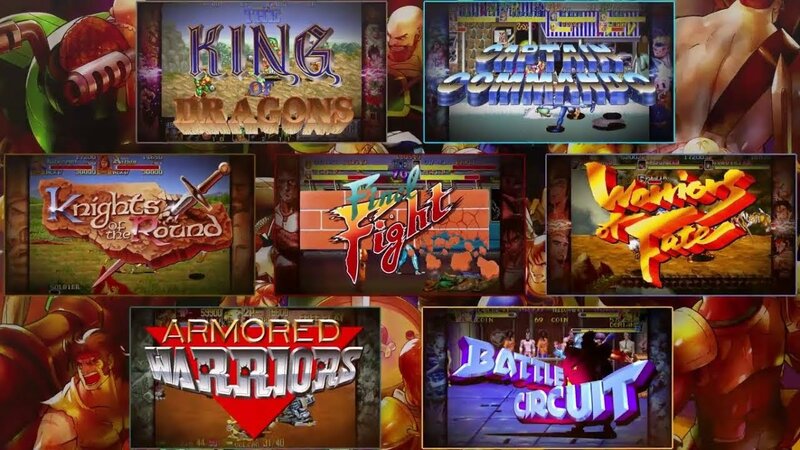 Well-known titles like Final Fight, Captain Commando, and Knights of the Round and a few even I had never checked out before like Battle Circuit. The core concept that ties all these games together is the fact that they revolve around the brutal, quarter-eating action that was so prevalent back in arcades back in the day. Players beat the crap out of waves of enemies and advance through side-scrolling levels to take on bosses. Along the way, there are power-ups, sometimes weapons and other items to pick up for points. Some of the games have their own twists, like Armored Warriors which allows players to augment their fighting robots with parts left behind by enemies and Warriors of Fate, which has a pseudo-RPG leveling up system as well as weapons and shields that are systematically updated as the game progresses. Still, the basic blueprint for all of these titles is punching and kicking your way through them so if for some reason you’re coming into this blind, make sure you’re a fan of the genre ahead of time. From a graphics perspective, everything is definitely dated, but these are older games so it’s to be expected. With that said, these are some very clean and polished ports that look even better than their original arcade versions. If you’re feeling really nostalgic though there are filters to add CRT monitor lines for some of that classic grit. 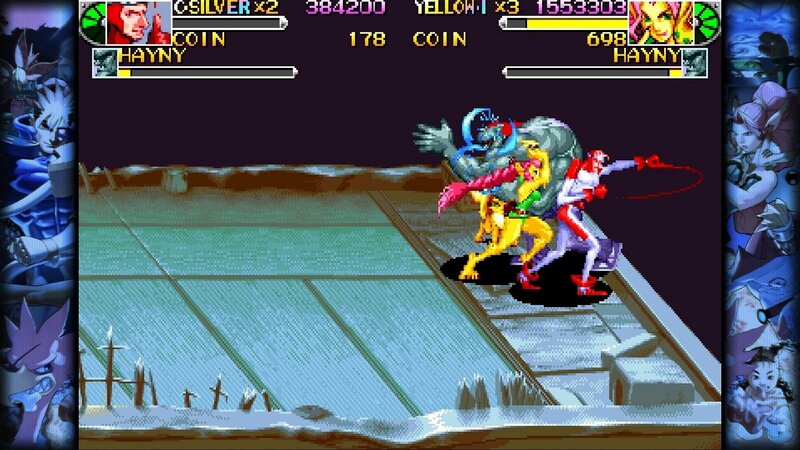 Not everything is perfect in Capcom’s Beat’Em Up Bundle though. For instance, there are a few glaring omissions, such as the brilliant Aliens vs Predator arcade game and the company’s series of licensed Dungeon and Dragons brawlers. It could be due to legal issues, but it’s also possible that Capcom is holding some titles back for a second volume. The only other major problem with the collection is that the online gameplay is very inconsistent. Co-op games definitely lag online and people dropping in and out eats up a lot of time connecting. The worst part though is that once someone drops out their avatar stays in the game until it runs out of lives and its movement is tied to your character, meaning that people who leave in the middle of a match just dump a useless character on you. Then there’s the issue of people just hopping into games to be jerks and having no way to kick them from your game. 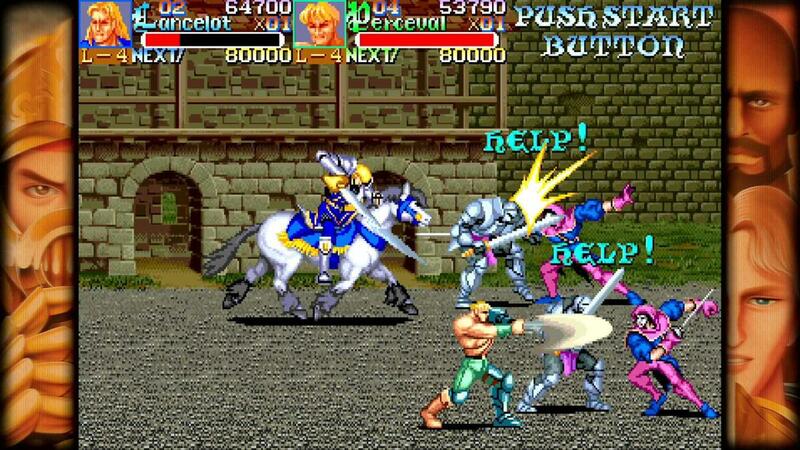 For instance, I had a player drop into a Final Fight game and just start beating me up. It would’ve been great to get that person out of my game. While Capcom Beat’Em Up Bundle does have some online multiplayer issues it’s still a ton of fun overall. These are some great games for fans of retro games or the beat’em up genre and it will probably cost you less to purchase the whole collection would cost to beat using quarters in an arcade, and you still own them after you beat them, so that’s a plus as well. Here’s to hoping they’re saving some of the titles missing from this collection for volume two. This review is based on a Nintendo Switch download code provided by the publisher. Capcom Beat'em Up Bundle is available now in retail and digital storefronts for $19.99. The game has been rated T for Teen by the ESRB.